The first name value pair in a transformation designates which value? How is the Acknowledgement_Summary report run without specifying parameters? What is the default location of the interfaces file generated on a UNIX host? On a mobile device, a particular severity filter has been selected. A. It sends an Open Page Event to launch an event viewer page. B. 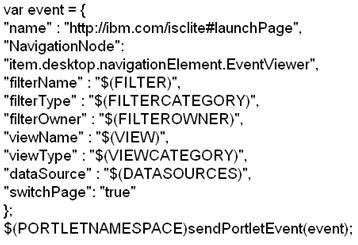 It sends a IBM Tivoli Integrated Portal (TIP) EventViews event to launch an event viewer page. C. It sends a Tl P LaunchPage event to launch an event viewer page. D. It defines the actions to take when a page launches with an event list. What are two ways the View Builder can be used to manipulate event displays? A. Define which user have access to view. B. Define the selection of alerts that are shown in the event list. C. Define the selection of columns that are shown in the event list. D. Define which metric can be calculated to display in the monitor box. E. Use column formatting, including column widths and alignment of the column headers and data. What does the SNMP gateway do? Which two statements are true regarding this connections data file? A. A virtual ObjectServer called RAD_01 is configured to listen on port 4100. B. 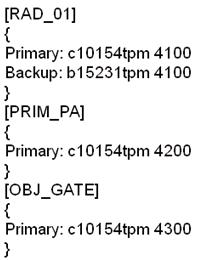 A primary ObjectServer called c10154tpm is configured to listen on port 4100. C. An ObjectServer gateway called c10154tpm is configured to listen on port 4300. D. A process agent PRIM_PA is configured to listen on host c10154tpm on port 4200. Which role must be provided to a user in order to administer groups and roles in Web GUI? Which command brings up the Event List in Windows? A. The user acquires the last added access level. B. The access level between these roles cannot be determined. C. The user acquires the lowest access level between these roles for a resource. D. The user acquires the highest access level between these roles for a resource. Which two Web GUI functions are supported on a mobile device?